High moisture corn (HMC) is harvested between 25 and 35% moisture content and stored in a silo where it is preserved through fermentation. The optimum harvest moisture for good fermentation of HMC is 28 to 32%. In general, high moisture corn ferments more slowly and less extensively than corn silage. Fall weather conditions, maturity of the grain, speed of harvest, type of storage, inoculation and ability of the storage structure to exclude oxygen all have an impact on high moisture corn fermentation. To insure proper fermentation growers may want to consider the use of a high moisture corn inoculant. Why inoculate high moisture corn? Growers should consider the use of inoculants with high moisture corn for the following reasons. First, high moisture is harvested in the fall when ambient temperatures are cool, thus viability of natural bacteria which aid fermentation are compromised. 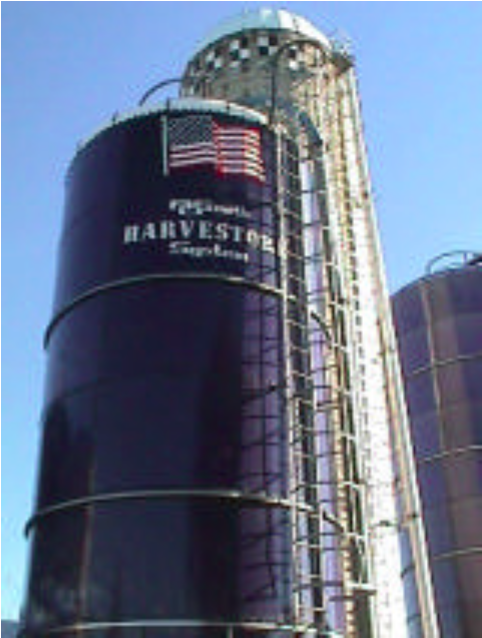 Second, high moisture corn does not contain high levels of sugar substrate to support rapid fermentation. As a result of cool harvest temperatures and low fermentation substrate, high moisture corn ferments more slowly and less extensively than corn silage. Finally, the fermentation process is required to breakdown prolamin proteins in the corn endosperm. Prolamin proteins are hydrophobic proteins that encapsulate starch into a tightly bonded matrix. 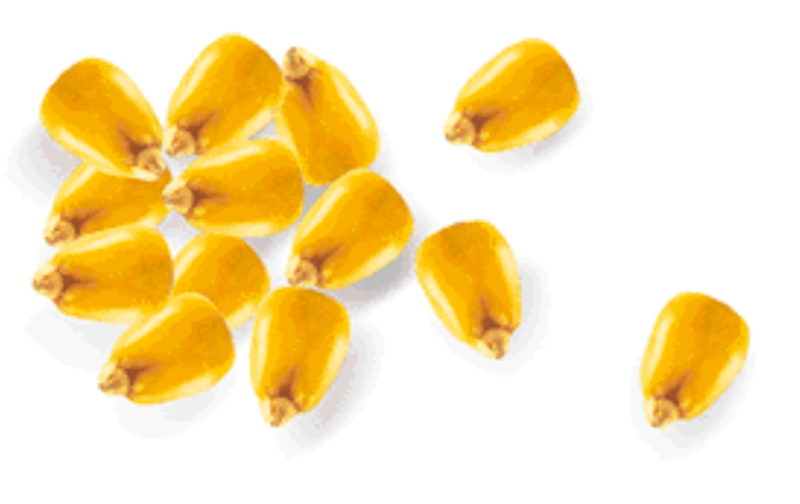 The breakdown of prolamin proteins during fermentation is the process which improves starch digestibility in high moisture corn as compared to dry corn. Any aid to improve fermentation, by using up available oxygen and breaking down proteins in the corn is beneficial to long term storage and starch digestibility. High moisture corn inoculants can increase the speed of fermentation, reduce dry matter loss, and increase aerobic stability. Inoculated high moisture corn may also improve animal performance. What kind of inoculant should be used for high moisture corn? Chose an inoculant which has been specifically developed for use with high moisture corn. In general inoculants that contain Lactobacillus buchneri have been demonstrated to be beneficial inoculants for high moisture corns. This bacterial species has been extensively researched and has been shown to improve aerobic stability of high moisture corn by inhibiting the growth of yeasts. The net result is that high moisture corn inoculated with L. buchneri resist heating when exposed to air at feed out. Lactobacillus buchneri is a heterofermentative bacteria that produces lactic and acetic acids during fermentation. High moisture corn treated with an effective dose (50,000 CFU/gram of fresh material) of L. buchneri have higher concentrations of acetic acid than untreated high moisture corn. Some manufacturers of inoculants containing L. buchneri recommend application rates of 100,000 cfu/gram but there is less research to support lower application rates. Other bacterial species that may improve fermentation of high moisture corn include Lactobacillus plantarum, Enteroccocus sp., Streptococcus faecium, and various Pediococcus species. These are similar to bacteria found in inoculants for other crops. These organisms are known to increase the rate of pH decline during fermentation, decrease fermentative losses of DM, and in many cases, improve animal performance. However, high moisture corn produced using homofermentative inoculants maybe more or less stable when exposed to air than high moisture corns that have not been inoculated. As previously discussed, lactic acid can be readily metabolized by yeasts and molds upon exposure to oxygen at feed out and it is common to have high yeast populations associated with high moisture corn. As a result, high moisture corn that contains high concentrations of lactic acid may be susceptible to heating and spoilage once exposed to air. Some high moisture corn inoculants may contain Propionibacterium sp. These bacteria are included to produce propionic acid to inhibit yeasts and molds that often cause heating in high moisture corn. To date, the results of research using Propionibacterium sp. to aid fermentation and prevent mold damage in high moisture corn has been variable. With all inoculants, it is important to follow the manufacturer’s application rates and handling protocols. Typical rates are between 100,000 and 500,000 colony forming units (cfu) per gram of high moisture corn and producers and growers should properly store and handle any inoculants to assure a viable inoculant is being applied. What pH is desired to preserve high moisture corn? 4.0 to 4.3. If the final pH is greater than 4.5, the corn will be prone to heating and spoilage. Will inoculation prevent HMC from heating during summer feedout? Inoculation of high moisture corn does not guarantee aerobic stability but modern inoculants such as those containing L. buchneri have the potential to greatly improve aerobic stability of high moisture corn. High moisture corn may heat during feed out, especially during summer months. University of Wisconsin research has observed 5-6 lb/day/cow milk losses when aerobically unstable high moisture corn was fed to lactating cows. Aerobic instability of high moisture corn is a dynamic event involving oxygen exposure, yeast, mold, slow feed out rates, and temperature of the high moisture corn mass. Chronic aerobic instability of high moisture corn is usually related to slow filling, storage silos being too large, improper inoculation application or applying a non-viable inoculant. Increasing corn removal rates is an effective method to reduce heating, but is seldom practical on a farm. Producers sometimes utilize high moisture corn only during the cool months (October to May) and rely on dry grains during summer months to alleviate this problem. Treating high moisture corn with organic acids at ensiling is also a viable solution to control chronic aerobic instability.